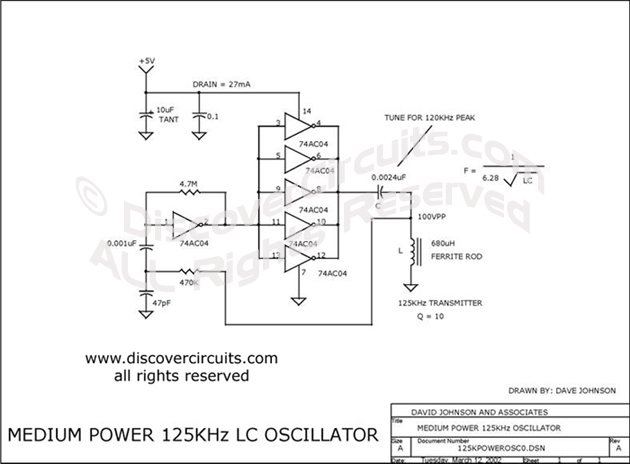 Circuit: 125KHz Medium pwer oscillator__ Circuit designed by David A. Johnson, P.E. This circuit is similar to CMOS INVERTERS FORM 125KHZ OSCILLATOR but adds more invertors in parallel to deliver more power. The values shown are for 125KHz.